Fraud via account takeover can cost companies billions each year. It touches firms of all sizes. 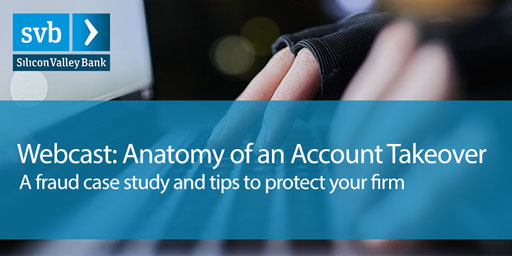 View this exclusive webcast in our Fraud Prevention Series: Anatomy of an Account Takeover. *IBM is an independent third-party and is not affiliated with SVB Financial Group.